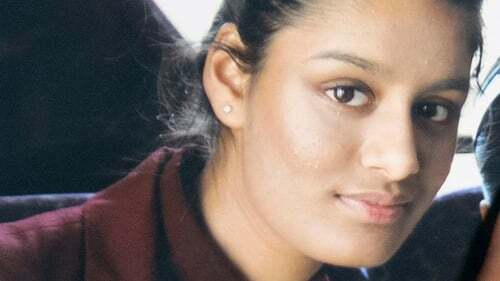 Shamima Begum, who was married to a fighter of the so-called Islamic State, has said she is coming to terms with the prospect she may never return to Britain, but insists she was "brainwashed" by extremists. she ran away to join as a schoolgirl. Her apparent defiance prompted public anger back in the UK, but some argued that she was a victim of grooming and should be allowed to go back to Britain. Her son, Jarrah, died on 8 March aged three weeks and was buried in an unmarked grave on the outskirts of the facility. It was reported last month that Ms Begum's family had begun legal proceedings to review the UK home secretary's decision to strip her of British citizenship. Ms Begum was one of three schoolgirls to leave Bethnal Green, an area in the East End of London, to join IS in 2015. It was reported yesterday that an IS fighter being held in Syria had claimed to be one of at least seven students and ex-students from the University of Westminster to join the caliphate.